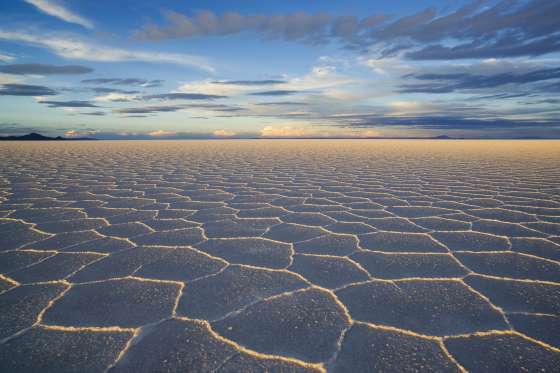 It’s tough to beat the salt flats of Bolivia as one of the greatest landscapes in the world. Salar de Uyuni is a prehistoric lake that has long since dried up, leaving 11,000 square kilometres of crusty, brilliant white salt that looks like ice or snow. Several islands can be found throughout the salt flats, peppered with cacti. During the rainy season, a thin layer of water sits on top of the flats and magnificently reflects the sky. It’s a harsh but beautiful landscape, and promises an exceptional adventure like no other you’ll find on the planet. 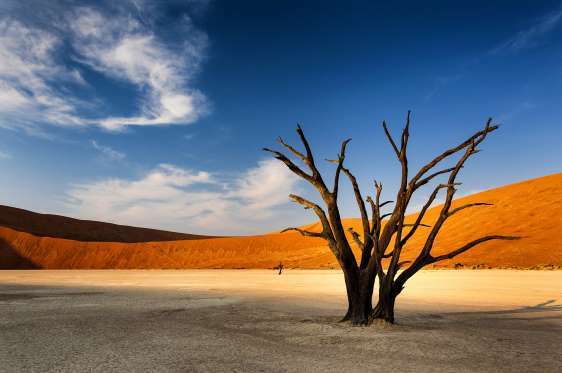 Namibia is one of those sensational gems that really could use some more attention from adventure travelers, landscape photographers and anyone who loves natural beauty. When you find yourself strolling through the hot desert sand dunes, surrounded by 700-year old trees and native Oryx antelope, you’ll feel like you’re on a different planet. If you can withstand the 45 degree C heat (113 F), you’ll experience something few travellers have ever had the pleasure of witnessing: magical sunsets where wind and sand come together and dance. For us, that is Namibia. 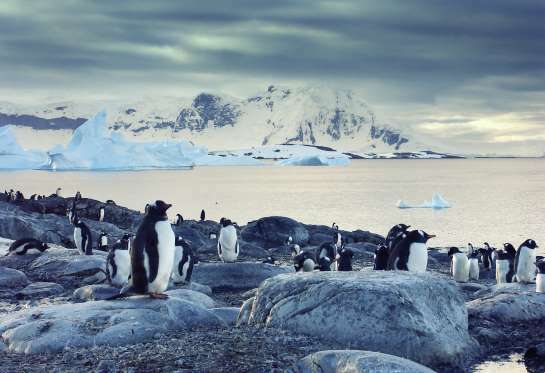 No other place in the world has taken our breath away as dramatically as Antarctica. Ancient glaciers tumble into a glistening sea, reflecting brightly against an unpolluted sky. Enormous icebergs float by majestically, glowing intense hues of blue underneath the water. Black rock mountains rise above the landscape in jagged shards. Most remarkable of all is the wildlife that inhabits Antarctica, the most undisturbed of any creatures on the planet. Humpback whales, orcas, penguins, sea lions and an abundance of birds roam freely across the white continent. In terms of adventure it is unrivalled, with the opportunity to go camping, trekking, skiing, diving and even sea kayaking, all great ways to explore the unique landscapes. The most picturesque islands we’ve ever visited aren’t in the tropics, but rather 100 miles north of the Arctic Circle. The Lofoten islands make up an archipelago characterized by the dramatic weather, craggy mountains, stark-red fisherman cabins and jaw-dropping fjords. The landscape is unlike anywhere else we’ve ever been. 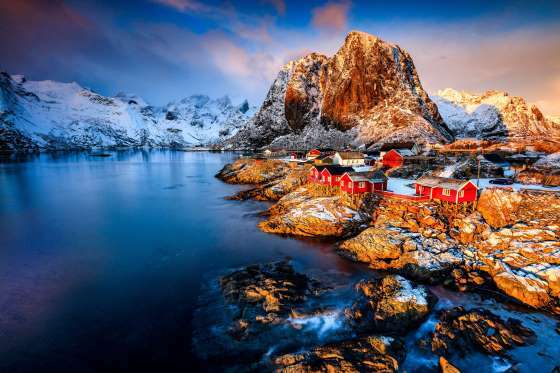 Not only are the Lofoten islands gorgeous, but they’re also a prime spot to embark on countless adventure activities. From rock climbing to cycling to kayaking, you’ll have no trouble staying active. Be sure to keep an eye out for the Northern Lights, too, if visiting during the winter months. It’s hard to beat the landscape of the Canadian Rockies, particularly the section straddling the border between Alberta and British Columbia. The snow-capped mountains rise precipitously out of the ground, creating dramatic views as far as the eye can see. 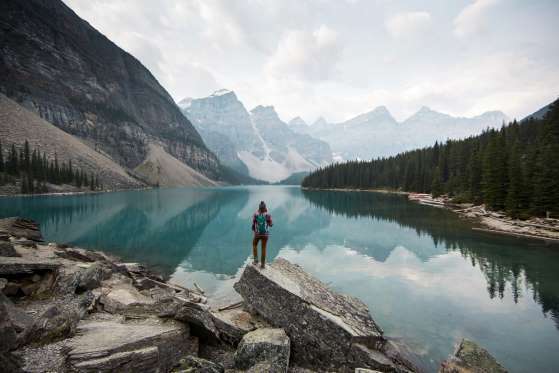 Throw in crystal blue mountain lakes, the occasional geyser and enough peaks to challenge even the most ambitious hiker, and it’s hard to compare the beauty here to anywhere else in the world. Also, the skiing is great here, and even the ‘normal’ views from the top of the ski runs are unforgettable. The Outback is where I fell in love with Australia. Contrary to popular opinion, there’s actually a lot to see and the Outback is full of life, vegetation and vibrant natural colours. We dodged hundreds of kangaroos and saw emus, goats, pigs and even camels, stopped at ghost like old frontier mining towns, explored prehistoric gorges, saw 3,500 year old Indigenous art work and admired magical sunsets that gave way to spectacular star-filled skies. The Outback is where Australia is unique, where you can feel the wild, frontier spirit and be awed by the stark beauty and power of nature. 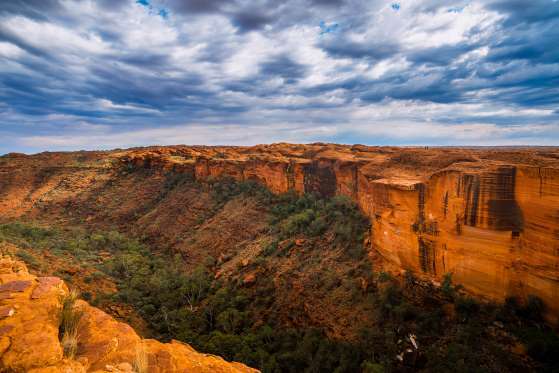 The route to Uluru or Ayers Rock, is well worn but there are plenty more offbeat Outback adventures to be had, especially in New South Wales and Queensland. Driving for days or weeks across such vast, remote and untouched landscapes is intimidating but also exhilarating. The freedom and space are intoxicating and the landscape, which changes every 50kms or so, becomes almost hypnotic. Chilean Patagonia, and specifically Torres del Paine National Park, has some of the most incredible landscapes I’ve ever seen. No matter where we went in the national park, the landscapes drew us in and took our breath away. 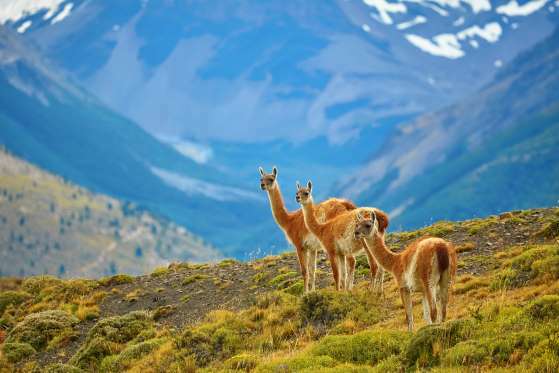 Here, you have everything, including jagged peaks, glaciers, meadows filled with guanacos and rheas (regional bird), lakes, waterfalls and lichen forests. 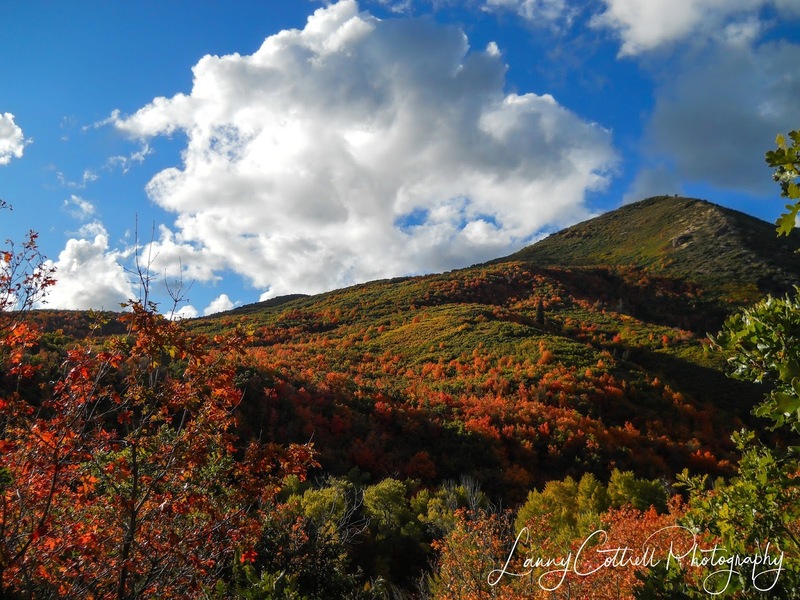 We also found it was all incredibly kid-friendly, from hiking to horseback riding. It took me years to realize why I’m drawn to glaciers and deserts: I’m in awe of the accumulated time in those areas. Franz Josef Glacier was the first place I actually saw this up-close. My world got so much bigger when I first stepped on the soaring glacier mountains. Wearing heavy-duty hiking books and crampons, I headed out for a full-day of glacier hiking. The smooth and sometimes ridged surface of this ancient ice had the purest colour of blue I’ve ever seen. This is the source of magical coloured glacial lakes in the South Island of New Zealand. The scenery changed with every step. 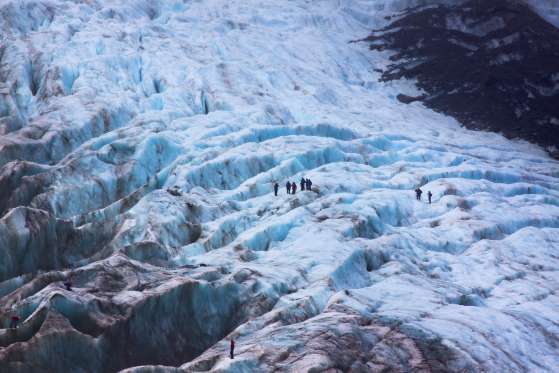 In fact, the landscape changes daily since the glacier moves. Through ice caves, over crevasses and between glacial walls, we explored this surreal landscape of the Southern Alps. It rains 240 days a year here, though, so do check the weather before you go. The Cocora Valley occupies part of Los Nevados National Park, located in the Andean subtropical highlands. 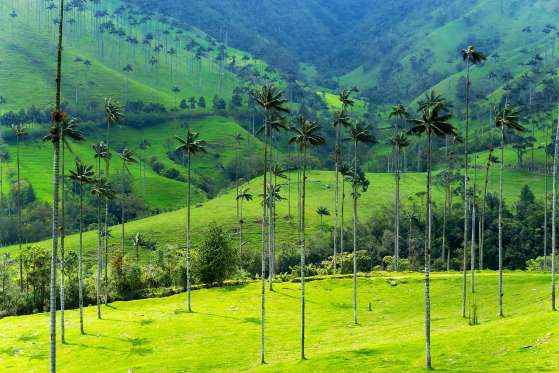 With its temperate weather, it is also the principal location of the national symbol of Colombia: the protected Quindío palm. A highly popular destination for seekers of extensive camping and hiking adventures, other outstanding opportunities here include mountain biking, horse riding, rafting, bird watching, scenic flights and river swimming. Afterwards, savour the diverse preparations offered by Cocora’s restaurants specializing in local freshwater trout. 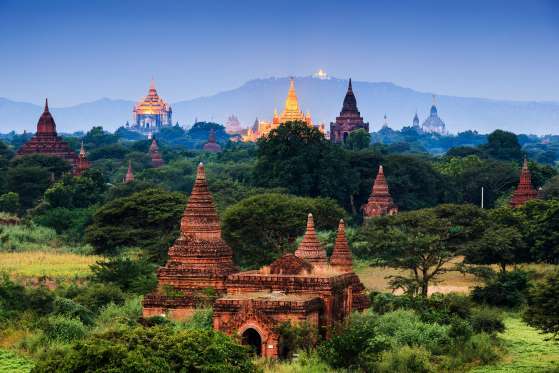 Bagan’s archaeological zone has one of the most beautiful landscapes on Earth. It’s easy to see why so many travellers love it here, especially admiring the view of famous Shwegugyi Pagoda. All your problems fly away together with the air balloons, which give you unforgettable sunrises or sunsets in this magical area. Bagan’s sky is always colourful and authentic, like stories in children’s books. You can see the rainbow coloured clouds, starting from orange before purple with a soft pink touch. Such a calm and clear atmosphere is ideal to relax your mind and create new ‘crazy’ travel dreams for realizing in the future. Arizona has a reputation for being mostly desert, sand and cacti. 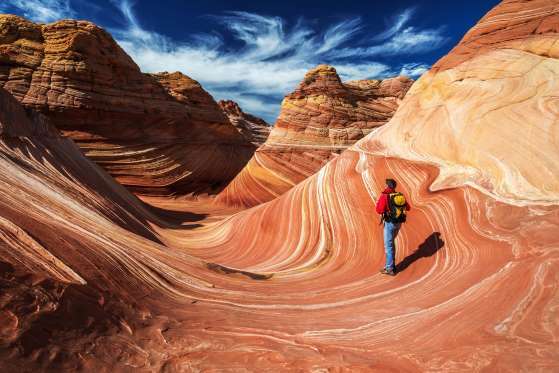 However, the state is actually home to some of America’s most striking natural landscapes and picturesque national parks. From the sheer scale of the Grand Canyon and the iconic Horseshoe Bend to the intricacies of its rock formations like Coyote Buttes and Monument Valley on the border with Utah, which rises unexpectedly from the otherwise smooth desert plane, Arizona is a textured canvas of natural attractions that delight and intrigue even the most well-travelled. published by msn.com on their main page. 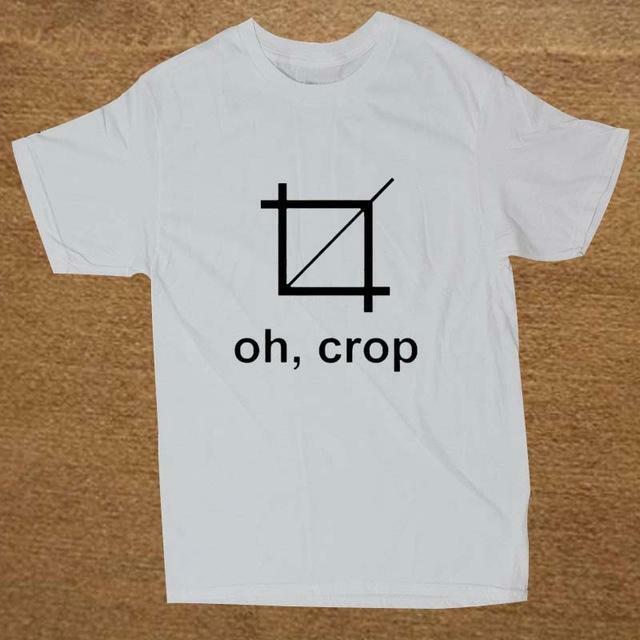 A GREAT SELECTION OF PHOTO T-SHIRTS ON SALE NOW ! !